Meet Nao from Aldebaran Robotics! 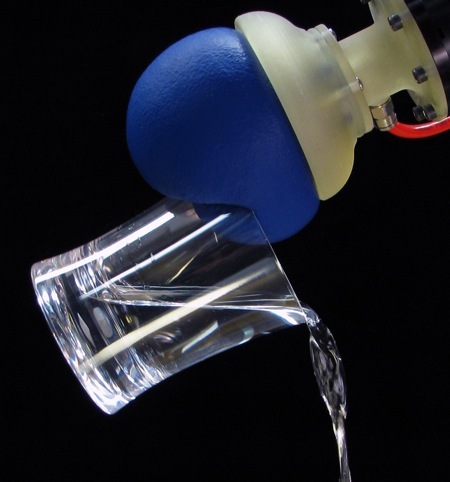 Kilobots are quarter-sized robots that move on three little legs designed to interact and coordinate their behavior. 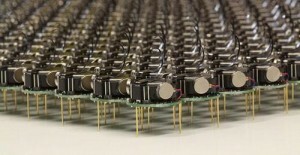 Created by the Self-Organizing Systems Research Group at the Harvard School of Engineering and Applied Sciences (SEAS) these little robots can be used to experiment with swarming algorithms. 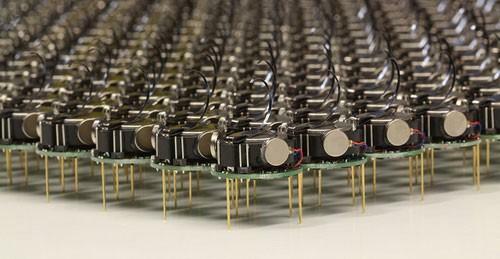 They have recently teamed up with the K-Team Corporation, a Swiss manufacturer of high-quality mobile robots, to mass produce kilobots so that researchers and enthusiasts alike can experiment with their own robot swarms. More information can be found at Science Daily. Here is a video of Kilobots in action!